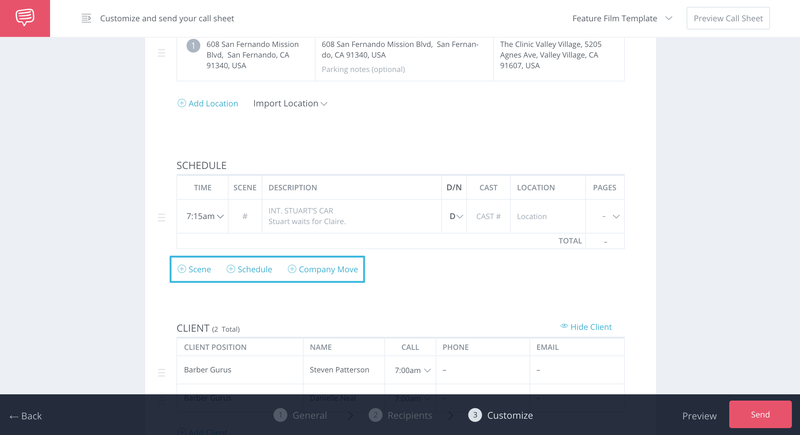 Add scenes, meal breaks or company moves to your call sheet. On the Customize step inside your Call Sheet Builder, click Add Schedule. There will be three options to add below: Scene, Schedule, and Company Move. Choose any of them. 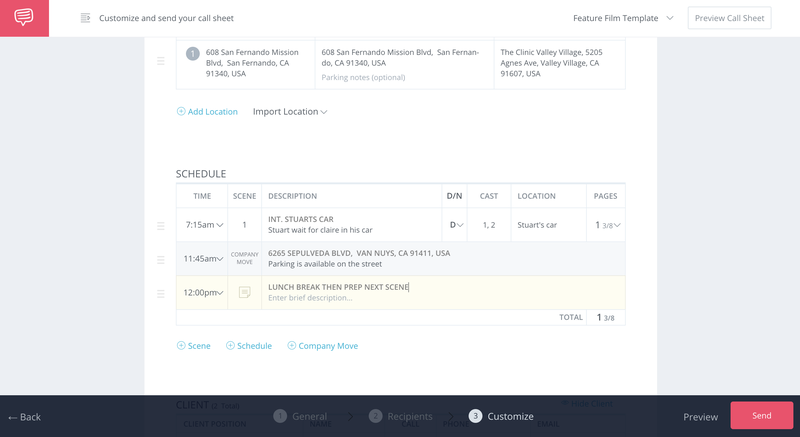 Inside the Schedule section, you can add multiple scheduled items, drag and drop to rearrange your schedule, delete items, change the time and more. Can we remove start times and est. hours off a Scene? Sometimes you don't want to add times next to a Scene, or Schedule on your call sheet. You can easily remove times by clicking on the time box and click Remove. Keep in mind that the columns will remain, however, you can just clear the times. How should you handle meal breaks on your schedule?